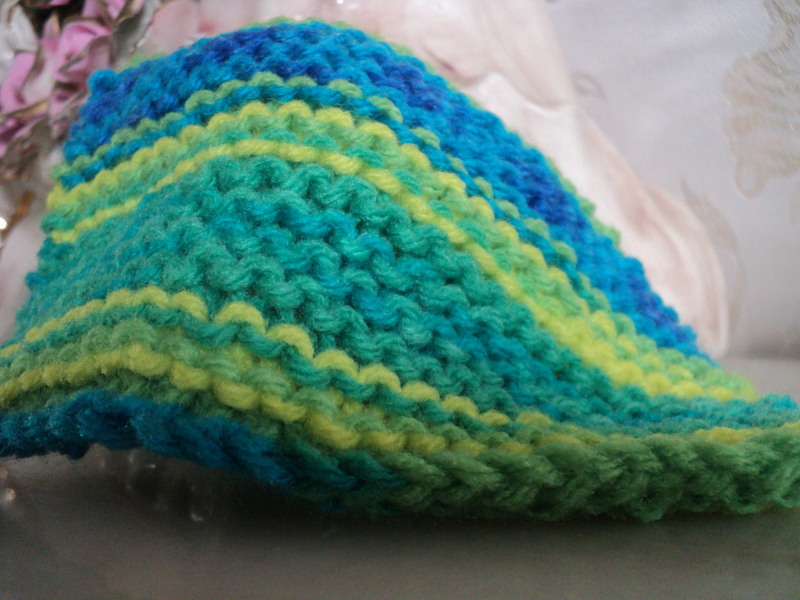 Category Archives: For The Knitters! The title “For the Knitters” should make this category pretty self explanatory. There will be posts like DIY videos showing you (and me) how to do certain stitches and designs. 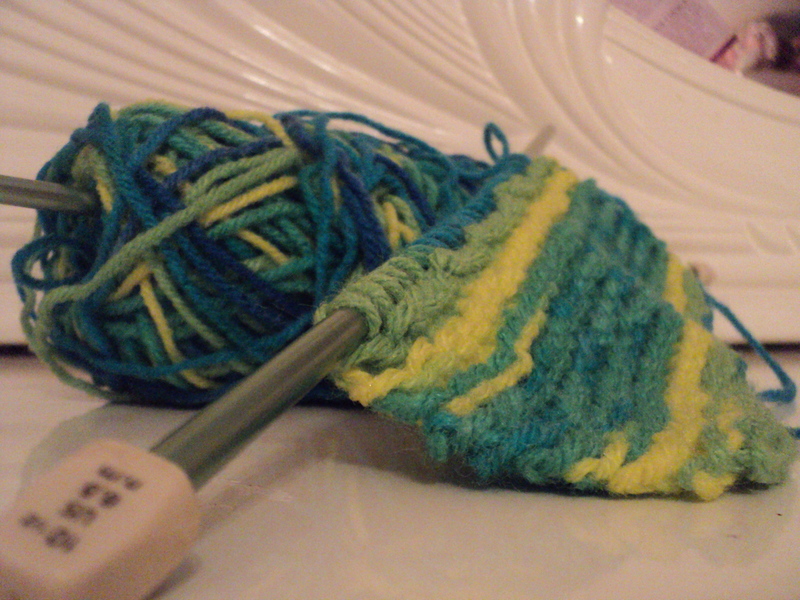 There will also be pictures (maybe some videos) of what I have done since I started knitting (2007) and things that I’m working on. Hope you have FUN knitting with me. Revellenics was introduced to me through another WordPress blogger. I had no clue what it was but there’s still time to join the challenge. I’ve found a pattern that’s very simple and fits the yarns and needles that I already have (so there won’t be any shopping trips to Michaels or any other craft store. In my last Update post I mentioned that I will start knitting again and with that I’ll be posting pictures of the projects and patterns I’ve tried or hope to try one day. This lavender coaster was requested by my sister. Half way through knitting this one I forgot if I left off at a knit row or a purl row, which is why it looks sort of uneven. 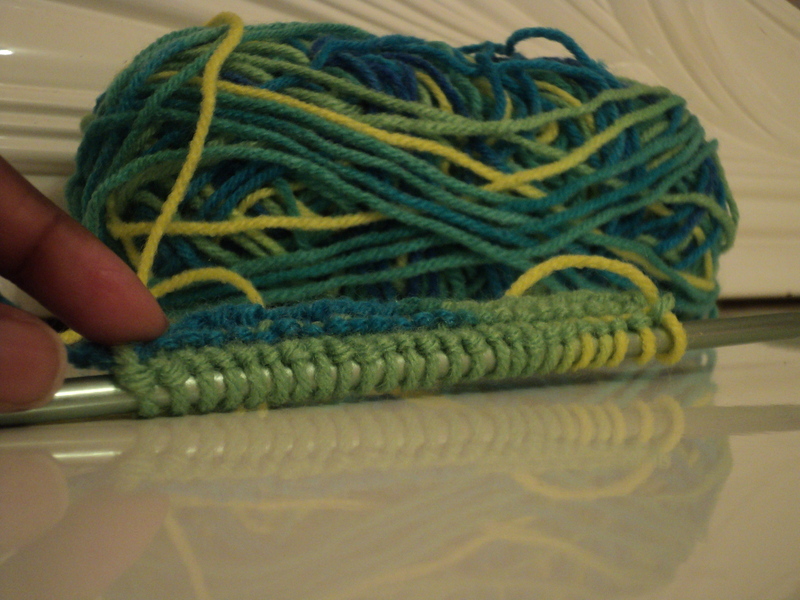 For the large Blue-Lime coaster, I used US size 10 needles. Thanks for viewing. Happy Knitting 🙂 & Be blessed.